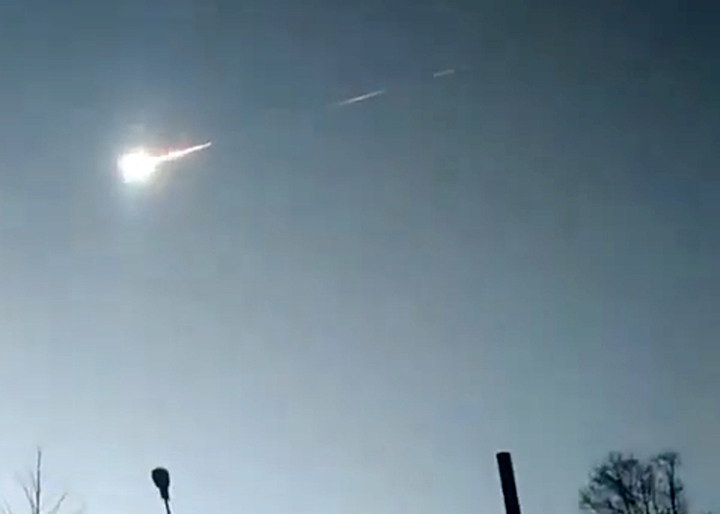 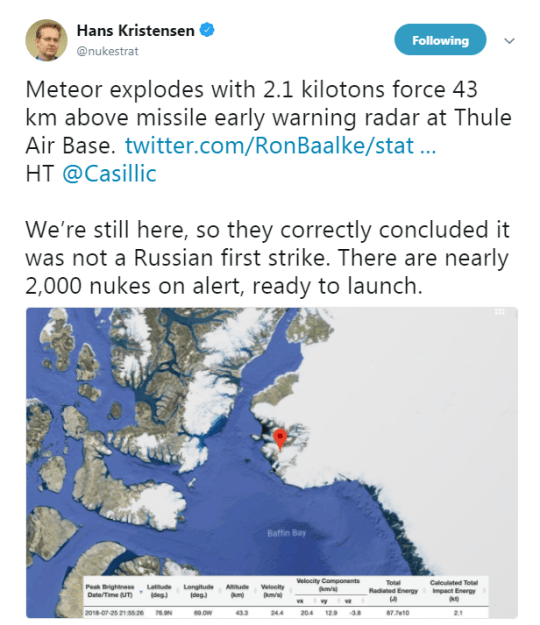 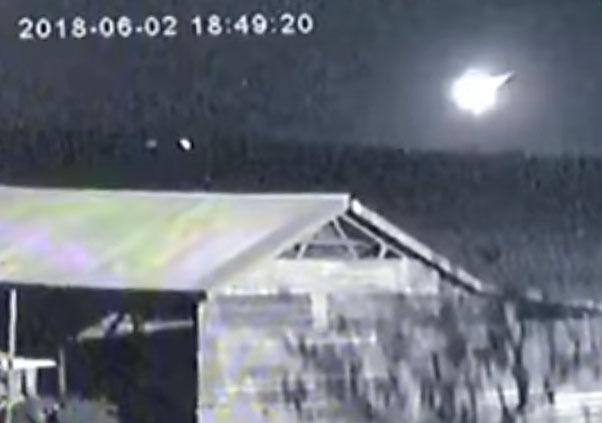 Knowing the grave danger they faced should an undetected space rock explode like a nuclear bomb over the Russian Federation, this report details, near immediately after the Botswana space rock explosion on 2 June 2018, the US Navy recalled all of its aircraft carrier battle groups to their home ports in the United States—a tension lessening move designed to demonstrate to Russia that they weren’t preparing for war—and whose prescient value of demonstrated itself on 18 December 2018 when an undetected daylight space rock exploded close to Russia’s Kamchatka peninsula with a force ten times more powerful than the Hiroshima atomic bomb—on 15 March 2019 when another undetected daylight space rock slammed into Russia’s Krasnoyarsk region with local reports saying it “warmed the air” and “shook the ground” after streaking across the sky in a green, yellow and orange fireball—and on 7 April 2019 when yet another undetected daylight space rock exploded over the Russian military-industrial city of Krasnoyarsk causing great fear and panic. 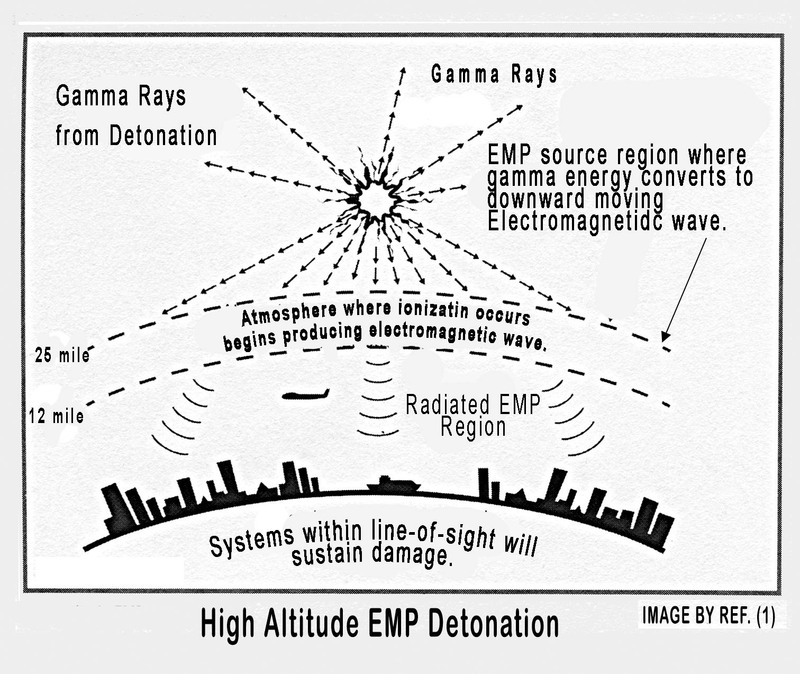 In the beginning minutes of World War III, this report fearfully documents, both Russian and United States nuclear first strike doctrines call for the use of air burst nuclear weapons over each other’s main military bases and industrial cities—the strategic intention of which is not to cause massive civilian casualties, but to initiate what is called an electromagnetic pulse (EMP) designed to destroy electronic infrastructure and communications—which would look and feel exactly like space rock atmospheric explosions—with the critical difference being between a failed EMP nuclear blast, due to damaged electronics and/or computer malfunction, and a space rock blast, being the immediate assessment of each other’s war intentions. 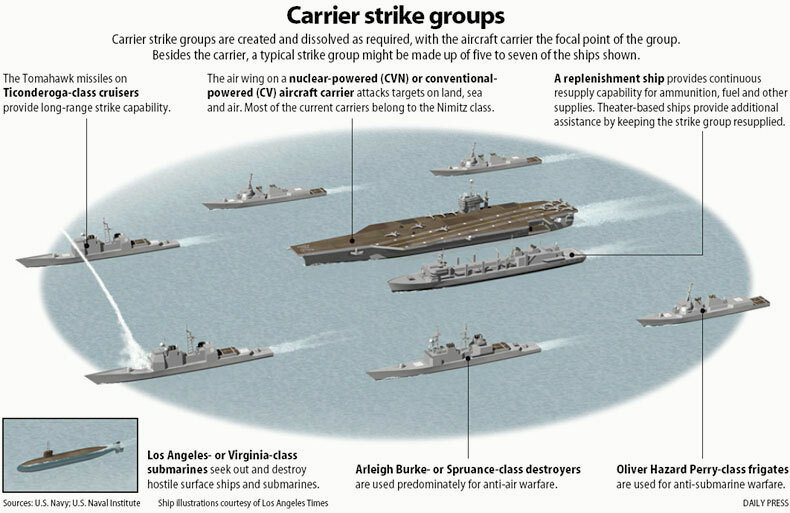 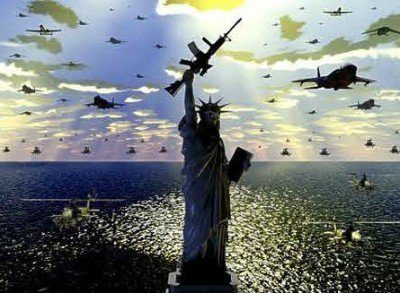 As the United States has rapidly flooded the world’s oceans in less than 3-weeks time with all of its available aircraft carrier strike groups, this report grimly concludes, the question of if the United States is going to war is no longer a question, only against whom they’re planning to attack—with the two most likely targets being Iran, whom the US has now laid the legal groundwork for attacking—and Venezuela, whose US “invasion planners” have just concluded a secretive meeting about—but whose insane possibility of attacking Russia cannot be ruled out as Russian naval forces continue monitoring US Naval forces nearing the southern border, and whose war provocations Russia has already warned it will “react accordingly” to—all of whose volatility is occurring when, for the first time in modern history, the United States has ceased virtually all military-to-military communication with Russia established so each could know the other’s intentions—thus meaning that even the smallest space rock exploding over the Russian Federation, now has the ability to ignite World War III.